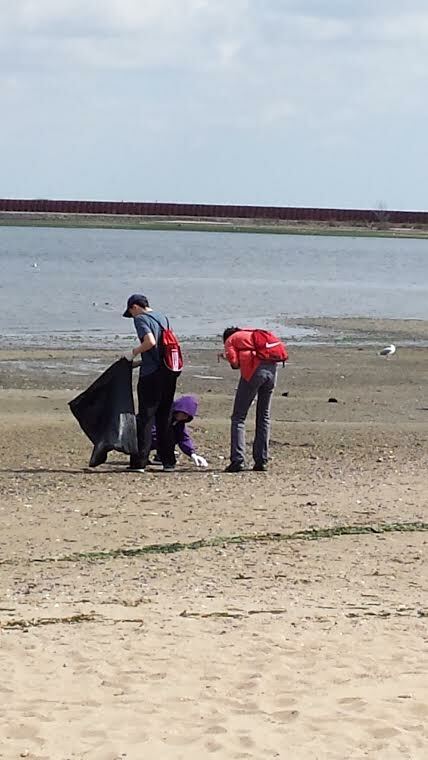 On September 20, NYC Audubon took to the shores of New York City for this year’s International Coastal Cleanup Day. The annual event is a global volunteer effort uniting hundreds of thousands of volunteers from across the globe to help clean up our shorelines and oceans. 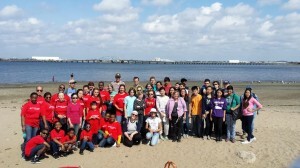 For this year’s Cleanup Day, we organized not one but two different cleanups of City beaches that are vital for migrating and nesting shorebirds: Jamaica Bay’s North Channel Bridge Beach (with American Littoral Society and National Park Service) and Pelham Bay Park’s Orchard Beach (with New York City Parks and Recreation). Volunteers came out in record numbers for this year’s New York City cleanups: 111 volunteers worked long hours diligently picking up trash from the beaches. The Boy Scouts of America, Girls Scouts Troop 4623-4587, Hunter High School Environmental Club, the Mitsubishi Corporation, and Volunteer for Wildlife were among the groups lending a hand at Jamaica Bay, while CubScout Pack 304 based in PS304 Bronx was instrumental in our cleanup of Orchard Beach. Between the two cleanups, this year we were able to remove 1,726 pounds of trash. That’s almost a ton! At our North Channel cleanup alone, we picked up 321 plastic grocery bags, 454 plastic and glass bottles, 730 cigarette butts, 2,302 glass pieces…and one teddy bear! Thanks again to everyone who made this year’s International Coast Cleanup Day our most successful ever. New York City shorelines provide valuable habitat to wildlife, including migratory and beach nesting birds. The dedication and hard work of all those who volunteered this year will improve City shorelines for birds, and people too. 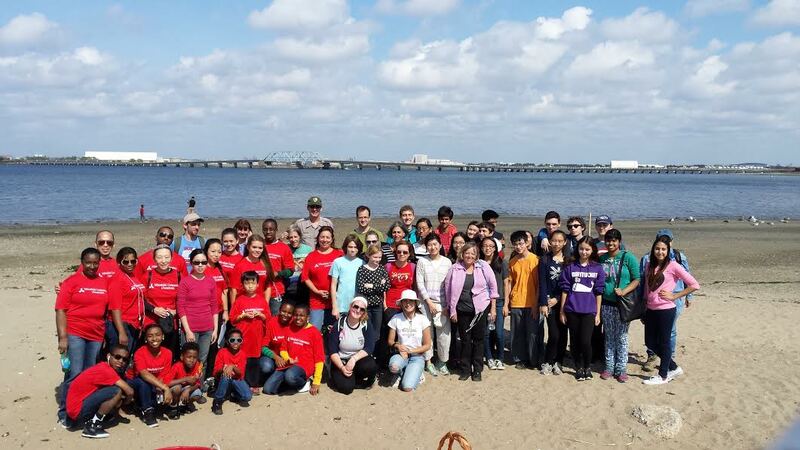 Finally, these cleanups could not have happened without the hard work of Adriana Palmer and Terra Weiland, our beach captains for the North Channel and Orchard Beach cleanups, respectively. Thanks to both of them for organizing these two very successful events. On September 11, 2014, NYC Audubon staff members were joined by 19 dedicated volunteers for the annual monitoring of the Tribute in Light memorial. Every year from 8pm to 6am the next morning, our monitors watch the light beams carefully to make sure migrating birds are getting through safely. On heavy migration nights, it’s possible for hundreds or even thousands of birds to be seen circling the lights at a time, disoriented and likely to exhaust themselves or suffer injury. When such high numbers of birds are seen ‘caught’ in the lights, the Municipal Arts Society of New York, which founded the Tribute, cooperates with us and turns off the light beams for a brief period to allow the birds to pass through and continue their migration safely. Thankfully, this year we only counted a handful of birds at any one time throughout the night, and the lights were kept on the whole time. Even with all the modern technology available today, it’s still difficult to accurately forecast the weather, not to mention bird migration! 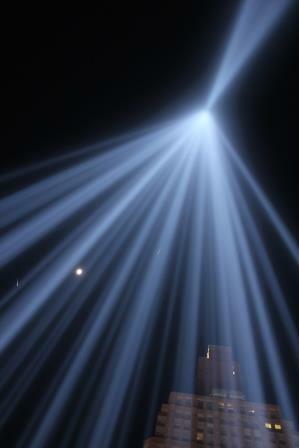 For days and even hours leading up to the Tribute in Light monitoring, we were not sure what to expect that night. Weather reports earlier in the week had called for rain all night on September 11th, which though less than ideal for the volunteers is actually a good thing for the birds. Heavy rain overnight would likely mean that migrating birds would stick around another day to wait for better weather to continue their journey south. By Thursday morning, however, the forecast had changed and aside from a chance of rain early on in the night, it was beginning to look like we would see clear skies instead. At the same time, migration forecasts were predicting moderate to heavy migration activity in the Northeast, including in New York City. Everyone on the ground was prepared for a situation like those seen in years past, when we have had to request that the lights be shut down several times due to thousands of birds circling in the light beams. As typically happens though, conditions can change at a moment’s notice. While it did end up being a clear night, only a few birds—and bats—passed through the lights. In fact, the highest number of birds counted in the lights at any one time was only 18. It was a great relief to hear mid-monitoring that while it was still a heavy migration night, the birds had flown just west of New York City, missing the lights almost entirely.